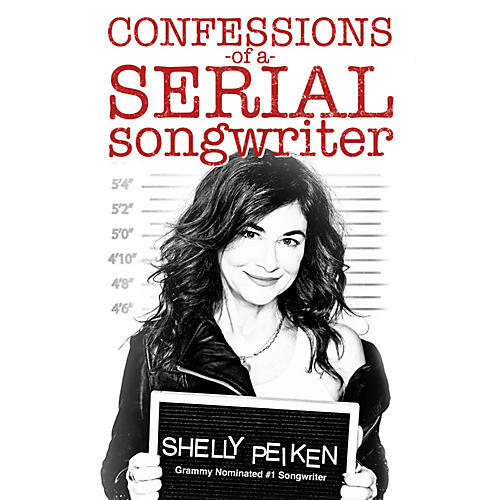 Confessions of a Serial Songwriter is an amusing and poignant memoir about songwriter Shelly Peiken's journey from young girl falling under the spell of magical songs to working professional songwriter writing hits of her own. It's about growing up, the creative process - the highs and the lows, the conflicts that arise between motherhood and career success, the divas and schemers, but also the talented and remarkable people she's found along the way. It's filled with stories and step-by-step advice about the songwriting process, especially collaboration. And it's about the challenge of staying relevant in a rapidly changing and youth-driven world. As Shelly so eloquently states in Confessions of a Serial Songwriter: If I had to come up with one X factor that I could cite as a characteristic most hit songs have in common (and this excludes hit songs that are put forth by an already well-oiled machine...that is, a recording artist who has so much notoriety and momentum that just about anything he or she releases, as long as it's 'pretty good,' will have a decent shot at succeeding), I would say it would be: A universal sentiment in a unique frame. Peiken has tapped the universal sentiment again and again; her songs have been recorded by such artists as Christina Aguilera, Natalie Cole, Selena Gomez, Celine Dion, the Pretenders, and others. In Confessions of a Serial Songwriter, she pulls the curtain back on the music business from the perspective of a behind-the-scenes hit creator and shares invaluable insight into the craft of songwriting.